Everyone knows that homes need smoke alarms and carbon monoxide alarms. But do you know where to install the smoke alarms and carbon monoxide alarms? Here’s a quick guide. Click here for information regarding the differences between Ionization and Photoelectric Smoke Alarms. 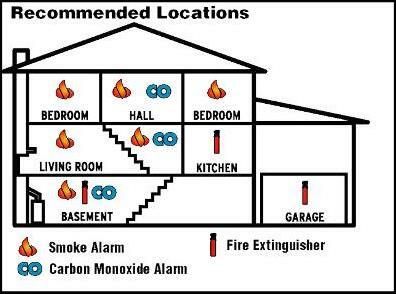 For additional safety, we recommend Carbon Monoxide Alarms also be install on each floor.